Beer and cheese? Yes, please! 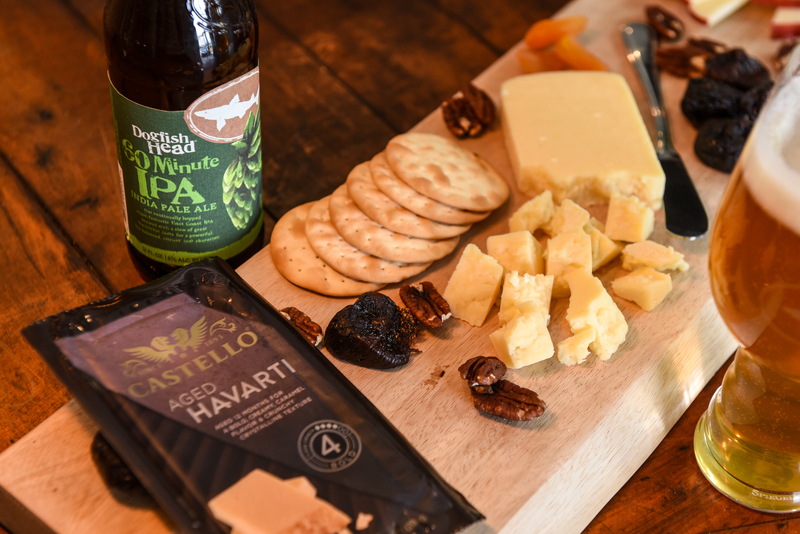 As a brewery with deep culinary roots, we’re delighted to be partnering with the fine folks at Castello Cheese for an off-centered tasting experience at a myriad of foodie events throughout 2019. With a wide flavor range, beer has the ability to match a variety of cheeses, offering both complementary and contrasting combinations. And thanks to our in-house quality team, we’ve curated a plethora of unique tasting experiences with some of our most culinary-forward beers. 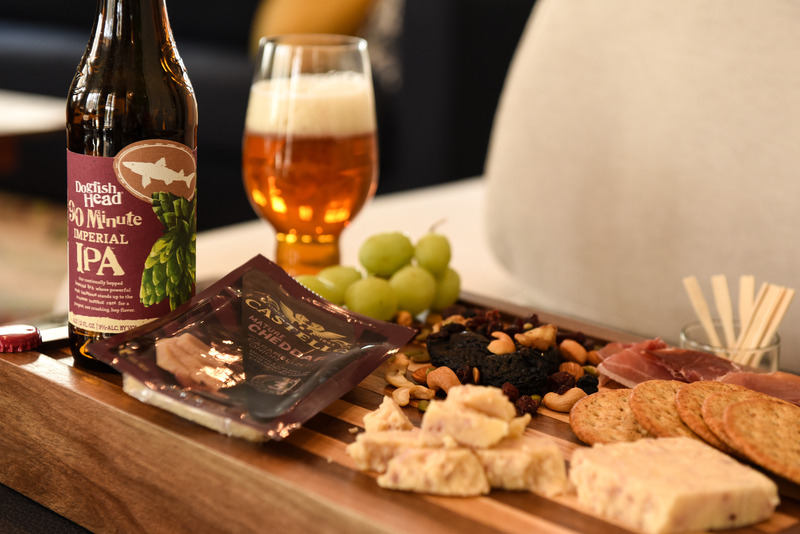 So next time you’re prepping that charcuterie board or planning the menu for an upcoming gathering, think about these beer and cheese pairings for a sensory enveloping experience that’s sure to wow. Continually hopped and brewed with a slew of great Northwest hops, 60 Minute IPA has a powerful, citrusy hop character that’s balanced by a moderately intense cheese like Aged Havarti. You’ll find that the malt backbone of 60 Minute matches the nutty and caramel notes of the cheese, while the carbonation and bitterness cut through the fat, and refresh the palate. 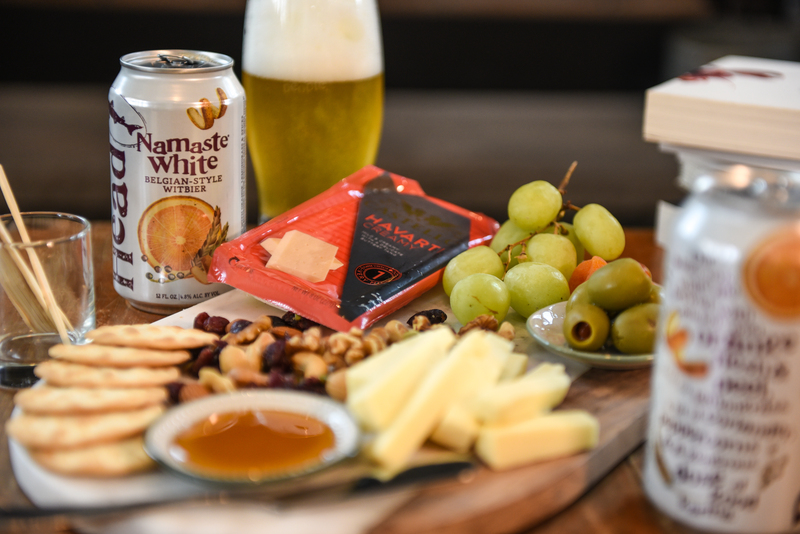 Brewed with dried organic oranges, fresh-cut lemongrass, a bit of coriander, peppercorns and a healthy does of good karma, the sweet and zesty flavors of our Namaste White play harmoniously with the buttery and tanginess of Creamy Havarti. It’s a light, bright and balanced pairing that provides a nice contrasting mix of flavors. This psychedelic pale ale is brewed with granola, honey and all-American hops for a beer that has subtle fruit notes and lingering bitterness that plays nicely with the mild sharpness and light sweetness of Gouda. It’s a well-rounded match that coaxes out the flavors of honey and granola from the American Beauty, while creating a pairing that’s reminiscent of a warm, gooey grilled cheese. 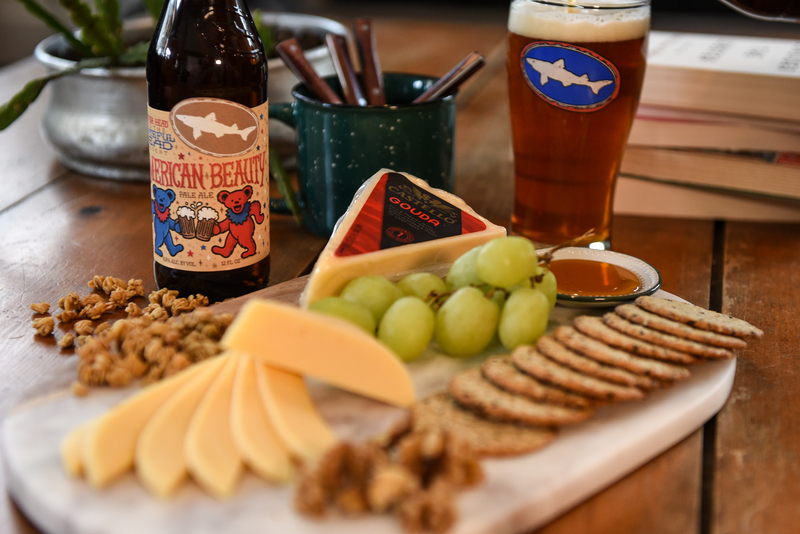 A session sour mash-up of a crisp Kölsch, a salty Gose and a tart Beliner Weiss, SeaQuench Ale and Danish Blue Cheese are a surprising, yet delicious and effective pairing. The intense saltiness of the cheese actually contrasts the salt of the beer, allowing the strong lime aroma and flavor to accentuate just the right about of sweetness. This beautifully balanced Imperial IPA is brewed with a foolhardy amount of hops, yet is perfectly balanced and complex enough to pair with Mature Cheddar. Reminiscent of eating a Philly Cheese Steak, the slight sweetness of the malt in 90 Minute highlights the richness of the cheese and accentuates the tangy characteristics for an intense pairing that works rather nicely. 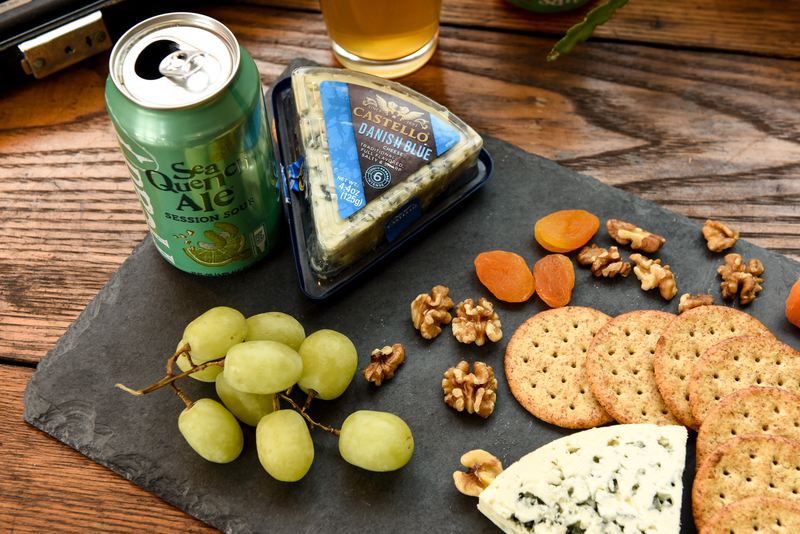 While there are no hard and fast rules for pairing beer and cheese, we think these combos are sure to ‘hoptimize’ your love of cheese!